It's an unfair fact of life that the biggest Christian holidays fall at the same time as the biggest Jewish ones, and Christmas and Easter get all the press. What's a Jew to do to make Passover more fun for the kiddos? Here's a thought: go for the gross factor. Kids don't often respond to food (even lots of it), or chanting ritual during which they must remain quiet and still. But, they do enjoy a good gross out moment or two. With this Passover plague pack of hoppin' mad frogs, you can bring to life the second plague, the aforementioned frogs, in vivid detail. Hand them out and let the amphibians fall en masse from the heavens. At just $3.99, each bag of frogs is a wrathful treat for children at the Seder table. And, it'll keep them happy until the gefilte fish hits the plates. Order them at www.pickmanmuseumshop.com. Wow, it's spring. Which means for my part of the country, flowers blooming and birds chirping into the night. In your part, perhaps a late snowstorm and lots and lots of mud. One thing is for certain, though: summer is coming, with all the horrors shorts and bathing suits involve. So show some support for your pudgy friends. One of the secrets to looking good by June is eating a ton of veggies. So boring. But this OXO salad chopper set gives the greens a bit more interest. 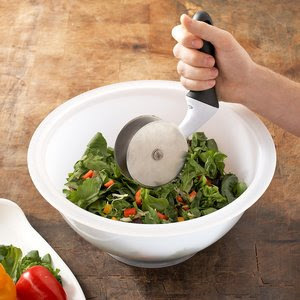 Just throw all the veggies of choice into the special blade proof bowl, and commence chopping with the two bladed, wheeled chopper (it looks like a pizza cutter on steroids). In a chop chop, there's a neatly chopped salad to devour. Easy and fun (although for calories sake, lay off the gooey dressings). Find this fabulous chopper set at www.surlatable.com. It's a fast way to cutting a fine figure. Don't get all shocked. It's true that the headline looks naughty, but this gift item really isn't. But, it is particularly perfect for someone with a, shall we say, deep and abiding affection for feet. These little feet probably belonged to some tiny dancer once upon a time, but are now available for sale. They're lovely feet, beautifully proportioned, and can be placed in all sorts of poses. This isn't a practical gift, but an aesthetically lovely one for the foot lover in your life. They can strike a pose on a nightstand, look pigeon-toed and uncertain on a mantel, or stand strong on a bookshelf. And they're basic black, which we all know goes with absolutely everything. The tiny tootsies are online at www.okstore.la. Order them up for someone who will hold them close. Mirrors are for checking in, quick fixes, mild satisfaction or intense disappointment. But for kids, mirrors are about making funny faces. And this super-cheap toy gives them a whole new way to explore their comedic sides. These mirror decals deliver about 50 nifty add-ons to the reflective experience. Just stick a pair of glasses, some new ears, or goofy headgear onto the mirror and watch the childish delight. All the decals are removable and reusable, for lots of dress up fun. It's such an easy way to entertain a kid. Packages of the decals are sold at www.wishingfish.com. And at just under seven bucks a pop, they make a great babysitting aid, last minute present for kids you've never met, or even a party favor. Oh, what could this multipurpose wonder product be? Chocolate? A new pair of shoes? An electric screwdriver? Nope. Try duct tape. Also known as duck tape (don't ask me why; perhaps it keeps unruly ducks quiet on road trips), this household staple seals, attaches and grips better than anything. The only thing it usually isn't is pretty. Basic silver gray is ok for utilitarian use, but sometimes duct tape has a more visible role and needs panache. Enter this new duct tape, dashed with pattern and color to match or pleasingly clash with decor everywhere. It still does the job, but now it does it with style. It's also the perfect gift for anyone who's just moved into a new abode (duct tape, upon move-in, is an absolute necessity). Order rolls of this sticky fabulousness at www.spoonsisters.com. Sometimes a gift item emerges that's just so fanciful, strange and disturbing, it needs to be purchased for a friend immediately. This is one of those gifts. These tiny hands turn an ordinary hostess gift of powder room "hand soap" into an art installation. 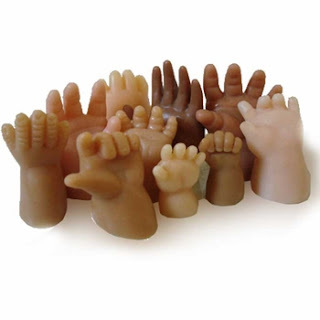 The sudsy substance is molded from doll hand molds, in various shades of flesh. They're pudgy, cute, beseeching, and disembodied. It's just what the hip hostess wants her tipsy guests to see as they try to wash up: an assortment of baby hands, reaching desperately out of the soap dish to the heavens. Priceless. And this gift isn't priceless; it's about 20 bucks. What a good deal on spare parts! Find them at www.aplusrstore.com. With all the green talk in the air, overpopulation is a hot topic. 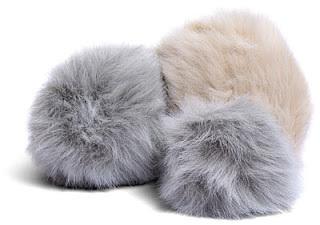 Remind the worry wart on your gift list that life could be so much worse: give them a Tribble or two. You remember Tribbles, don't you? Every Star Trek geek worth their salt does. These furry faceless creatures were irresistible, until the Enterprise crew realized that they loved to breed at lightning speed (not unlike some people you probably know). These Tribbles, available for shipping, have been "fixed," so they're cuddly and comforting, sort of like fluffy rocks with personality. A giftee doesn't have to be a Trekkie to appreciate a trio of Tribbles, although it wouldn't hurt. You can beam them to the location of your choice through www.thinkgeek.com. It's definitely going around. Aches, pains, sinus pressure, and especially sore throats are all the rage in this year's plague rounds. Odds are, you know someone who's ill. Treat them right with an old-fashioned sore throat "cure" that just makes everyone feel better, generally. That's good old-fashioned tea with honey. Really, any tea will do, as long as it's hot and soothing (not that I'm recommending Lipton's, but it would work just as well as the fancy stuff). But honey's a problem, sticking and oozing and leaving gummy marks on countertops. 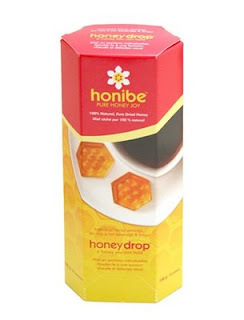 So give them these handy, organic honey drops. They look like amber sugar cubes, but they're a lovely controlled dose of bee juice, ready to infuse that tea with some throat coating goodness. What's not to love? Did I mention the price? Twelve bucks! Add some tea and you're in business, not to mention aiding an ailing buddy. Order Honey Drops at www.nimli.com. Even if you're not a fan, it's hard to escape the anticipation of baseball season. Fans are gearing up, getting irrelevant spring training game news, and looking forward to scarfing dogs and whatever else the stadium offers up come opening day. So what gift could you get for the biggest baseball fan you know? Forget tickets; they already have 'em. Just get them a ball. 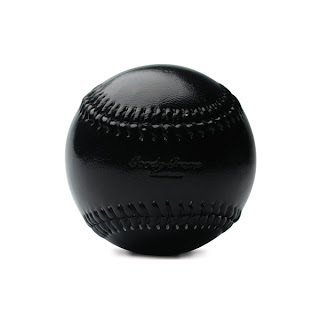 This bizarre object is a baseball, if baseballs came in basic black. Glossy, elegant, and slightly mysterious, this ebonized baseball isn't for play, but for display. Only the Japanese, with their love of the game and their fetish for objects, could have designed it. Order the glossy sphere at www.mollaspace.com. It's definitely not a foul ball. Everyone remembers the Viewmaster, that click and turn window on the world, with slide discs featuring everything from historic architecture to natural wonders. Sure, it's a great gadget for kids, but this Viewmaster is for adults. Meet the Vladmaster. Each individual set of discs is photographed and designed by mysterious artist Vladimir. Often based on great works of literature (like the parables written by Franz Kafka, for instance), four discs deliver a whole story. 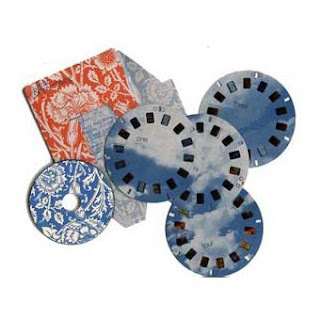 Some sets are accompanied by a CD with narration or found sounds (complete with a friendly beep for timely image ticking). Even the labeling and box are designed by the artist. The Vladmaster sets are a far, far cry from The Sights of Hollywood. They're affordable art in a Viewmaster package. Order a Vladmaster set (or two, they're pretty cheap) for your arty friend. They're available at www.reformschoolrules.com. And the site sells the Viewmaster viewer itself, too. It's hard, these days, to buy an appropriate gift for the audiophile. Gadgets come and go and break. CDs are going the way of the dinosaur. And there's something pretty hollow about the pre-paid iTunes card. Get the sound freak a symbol of their obsession instead. This speaker necklace, for instance. Available in silver (barely within the $200 price range) or gold (which isn't, meaning this had better be for one of your absolute favorite people), it also comes in left or right speaker configurations. Other necklaces, featuring 45's, iPods and Walkman, are available as well, at various price points. Check out the entire jewelry line at www.completeshop.us. It's one gift that sets just the right tone. It's true. People you know are getting more inventive about earning money (whether it's completely annoying multi-level marketing schemes or an all cash business on the side). Help them out a bit with a lucre-luring accessory from Japan. 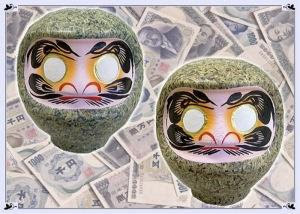 This traditional Daru Money Bank really holds money (small change, anyway). It's cute and strangely owl-like. It can sit unobtrusively in the corner of any workspace. And, it's made out of actual Japanese money; the principle, I suppose, being that if something is really made of money it'll attract more of it. It could work. Have a yen for this item? Check it out at www.tortoisegeneralstore.com. Every kid should have a little stuffed animal trove. They fill in as props for games of make believe, pillows during story time, and friends who listen in accepting silence. But finding the right fuzzy friend for a child is tough. It can't be rough, or too fuzzy (that just gets gross and uncomfortable). It should have some give and squish. And, preferably, it should be from harmless materials (why start out with toxic friends in early childhood). 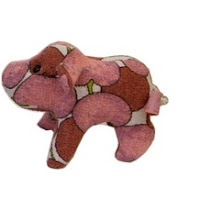 These stuffed animals, constructed from vintage towels (hopefully unused), fit the bill. There's nothing to come loose or fall off. The material holds up to stains and is wonderfully soft. And, they come in many animal friend choices, like elephants, pigs and monkeys. What's not to love? 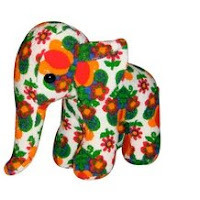 These cuddly cuties come from overseas, at www.matteria.com. No, that's not where you're going. Grown-ups, for the most part (multiple tequila shots aside), must stay resolutely in the real world. But for the child in your life, one of the greatest things you can give them is the Land of Make Believe. These nifty ensembles can help transport them there. 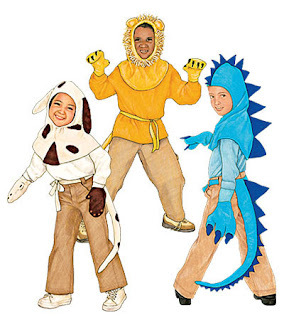 Sturdily made and crafted (no el cheapo plastic garbage here), these costumes transform any child into fabulous creatures. They can be the lion in the Wizard of Oz, a wily dragon breathing fire, a sweet puppy in distress, or even an oh-so-rare unicorn. They're easy to put on and take off, and, at around $30 apiece, are inexpensive enough to get a few for your favorite little person and friends. The fantasy hoodies are found exclusively at www.magiccabin.com. Let the metamorphosis begin. You know there's a super-sneaky, uber-gossip inside virtually everyone, just waiting to bust out. Help their inner papparazi emerge with this funky stealth camera. 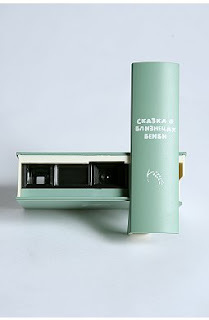 Disguised as a book, this camera unassumingly resides in the library until plucked from the shelf for emergency shots. It's small enough to fit in a purse and whip out on the street. And it's perfect for menacing people at parties. 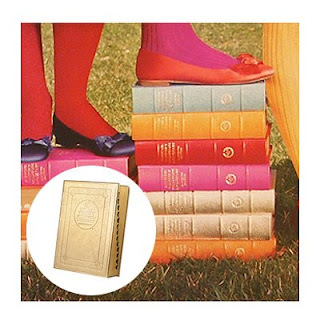 You'll find the tiny pseudo-literary wonder in the Made in Japan section at www.urbanoutfitters.com. You'll also find the appropriate film, because Secret Agents don't do digital. A big bag of money is hard to come by these days, yet it's probably at the top of most people's "Most Desired Gift" list. So here's a big bag of money for them, at least in theory. This empty (yet enticingly convincing) money bag will set their dreams afire. While stuffing it with c-notes might be nice, you could also fill it with pennies. Or gumdrops. Pistachios come to mind, too (peanuts are just too cliche). Basically, this is your chance to let your gift creativity run wild with currency substitution possibilities. It also makes an excellent doorstop. 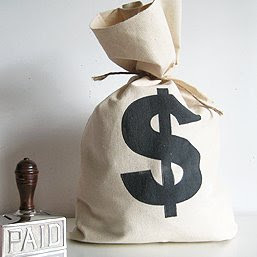 Grab the money bag and run at www.threepotatofourstore.com. Did I mention this gift is only ten bucks? Ah, candlelight. It's romantic, thrifty, and green. It casts flattering golden light and mysterious shadows. And now, it can be ironic too. These candles deliver all the pluses of candlelight, while acting as a reminder of what they're most definitely NOT: lightbulbs. 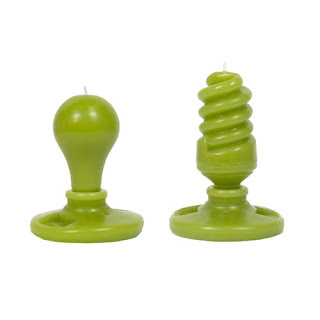 This waxy pair, masquerading as an incandescent and a CFL lightbulb, enliven meals and relaxing baths with humor and wit. Especially since, let's face it, who wouldn't rather light a candle than sit under the harsh light of a CFL, no matter how environmentally correct it is? Find these little statement makers at www.areaware.com. It's natural lighting even Edison would've approved. Even though the weather (if you're not in L.A.) is still pretty horrible, it's reassuring to know that spring and milder temps are coming. It could even encourage the organizer in your life to start frantically spring cleaning, tossing out junk left and right. But where, oh where, will she put all the stuff that passes muster? Try giving her one or two of these felt storage boxes. They serve the same purpose as any other storage box, but they're way cooler. 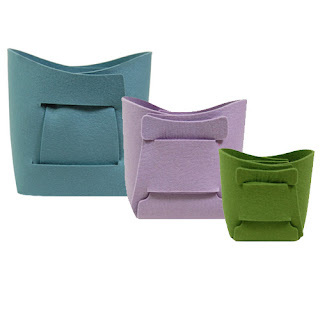 Fuzzy, organic, and in cheerful spring colors, these sturdy fabric boxes fold flat and construct quickly. And, even though I'm usually opposed to giving empty boxes as gifts, these felt ones seem complete on their own, and green to boot (no more ugly, polluting plastic crates). Check them out at www.finnstyle.com. Cooking enthusiasts wax rhapsodic over well-designed kitchen implements. And, once found, they're the perfect gift for said enthusiasts: inexpensive (usually), useful, and much appreciated for streamlining culinary tasks. Never has a task needed streamlining more than peeling fruit and veggies. 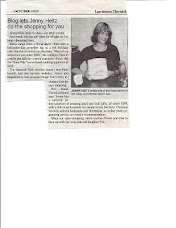 Just the recipe phrase, "Two pounds of potatoes, peeled," can turn a happy cook's mood to dread. 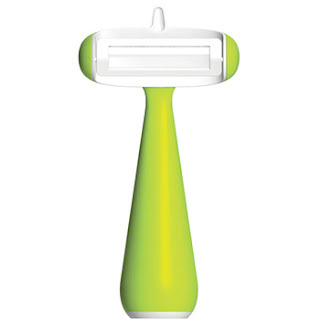 This peeler, however, (from fancy designer Karim Rashid, no less), turns peeling into just another cooking step. The peeler has a bit of a wide-load build, for superior gripping. Its ceramic blades leave no funny tastes or smells behind (and stay sharp). And its pretty neon color just looks plain great in the kitchen. What's not appealing about this peeler? Order it for your foodie friends, pronto, at www.aplusrstore.com. There are those who pick their words with care, and those who need help. Now, you can assist the person in your life plagued by malapropism in a really beautiful way. This dictionary has all the words they'll need for emails, letters, speeches and debates. It's the Merriam-Webster Collegiate edition, so it satisfies your inner academic. And it's just beautiful: leather-bound, available in gorgeous jewel-like colors, looks equally great on a desk or on the shelf. Truly a dictionary to last a lifetime. I'm not going to deceive you; knowledge and beauty doesn't come cheap. At $135, this is a memorable gift for an equally memorable (and appreciative) friend. Look it up at www.thisisauto.com. For the organized person in your life, the magnet board is probably no small thing. Bet it's a big one, actually, covered with magnets holding notes, bills, reminders, and even the occasional photo. So why not give the magnet board the reverence and weight it deserves? 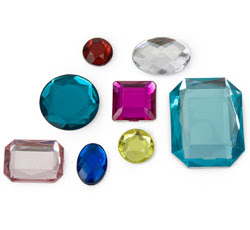 These shiny jewel magnets are just the ticket. They do, of course, what all magnets do. They'll hold stuff stuck to a magnetic surface, be it a board or fridge, quite effectively. But they do it with shiny, glimmery style. It's as if a pirate's trove was unleashed upon that utilitarian surface, lending importance and fun to the everyday. You could also, if you're feeling generous, combine the magnets with a magnet board. But such largesse is up to your discretion. Mine these jewels at www.momastore.com. Here's a universal truth: all kids (and probably many adults) want to draw on their walls. Yet, from an early age, we're discouraged from making our mark. It seems unfair. Welcome to the world of Jenny Wilkinson's color by number wallpaper strips. 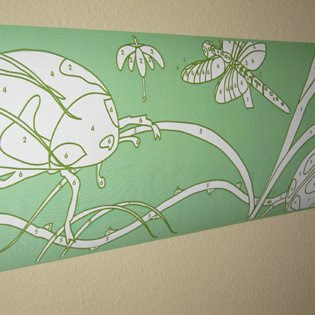 These things are genius, self-adhesive paper strips you adhere to your walls. Then, you and your kids can go to town, coloring in the images in the medium of your choice. All her designs have a certain psychedelic, Yellow Submarine flair (like the big bugs pictured), making them ideal for bedrooms and other private spaces. And when you're sick of it, they peel off in a jiffy, leaving an undamaged wall behind. Nuture the inner graffiti artist at www.2jane.com. And color the world beautiful.